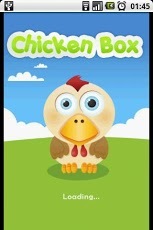 The Chicken box creates the cooing of a chicken when you turn it upside down. The chicken box is a toy for kids. This app works like real Moo Box flip the phone upside down and you will hear cooing sound. Another way to create coo sound is to tap on the box or shake the phone. 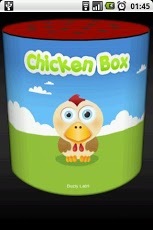 Chicken Rooster Box funny toy game for kids.